Novocare Dental is a mixed NHS and Private practice, catering for the everyday dental needs of the local community. The team at Novocare Dental is committed to providing a welcoming atmosphere, as well as delivering personal, friendly and high quality treatment. The surgery has invested in new modern equipments, including an electronic booking system and state of the art digital x-ray system. The surgery has access for disabled patients. Novocare Dental is also a referral centre, where dentists from in and around Watford refer their patients to us to carry out private treatment under sedation. We provide Sedation for very nervous and anxious patients. 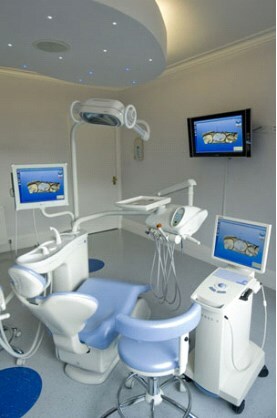 We treat patients from the age of 16yrs old and have qualified dentists and anaesthetist to carry out the procedures. At Novocare Dental we provide a wide range of treatments including white fillings, teeth whitening, implants, invisalign, veneers, cerec and complete smile makeovers. Please ask our receptionists for further information regarding cosmetic treatment. are under 18 or are 18 and in full time education. are pregnant or had a baby in the last 12months. are on income support, income based jobseekers allowance, income related employment $support allowance, pension credit guarantee credit and universal credit. Please ask the receptionists for further details. Proof of exemption will be required. A full 24hours notice must be given if you are unable to attend. Repeated failed or late cancellations of appointments may result in further NHS treatment being declined. We aim to make your experience at the practice as pleasurable as possible. However should you have any concerns, comments or complaints, please contact Mrs T Oke on 01923 817942, who will be able to deal with your complaint and talk you through our procedure. Alternatively, you can obtain a written copy of the complaints procedure by asking at reception. We take patient confidentiality extremely seriously at Novocare Dental and all personal information is treated in the strictest confidence. Only members of staff have access to patient information and we have a strict confidentiality policy. From time to time we may need to release your details to NHS England as part of our ongoing clinical reviews process. We are here to help, however, patients who are violent or abusive towards other patients or our staff members will be refused treatment and reported to the appropriate authorities. We accept the following methods of payment at the practice: cash and all major credit and debit cards excluding American express and Diner cards. Full payment for NHS treatment may be required at the start of treatment. Payment plans can be arranged for private dental treatment. The practice is located opposite Watford Leisure Centre and just outside of The Avenue car park. Parking is available in The Avenue car park, which is pay and display only (please bring change). There is limited parking for (pick up only) patients having sedation in front of the surgery. The practice is in walking distance from Watford Town Centre. The surgery is 10 minutes walk from Watford Junction Station and Watford Underground Station.